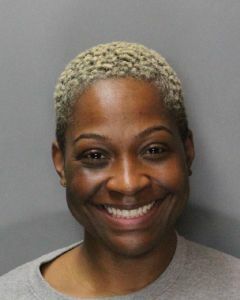 A Sacramento woman was arrested yesterday by Elk Grove Police after she allegedly attacked a victim with an aluminum baseball bat. At approximately 8:20 a.m. on Thursday, February 9, Nidia Yvette Holmes (pictured above), 38, was driving her vehicle near Matina and Sathos drives when she stopped the vehicle near the victim whom she know. Holmes reportedly left her vehicle, began yelling, and stuck the victim in the head with the bat. During the assault Holmes also is alleged to have stolen the victim's cell phone before fleeing in her vehicle. Responding officers located Holmes and placed her in custody and the victim was taken to an area hospital for non-life threatening injuries. Holmes was charged with felony assault by means of force likely to cause injury and robbery. Bail is set at $50,000 and arraignment will be on Tuesday, February 14.